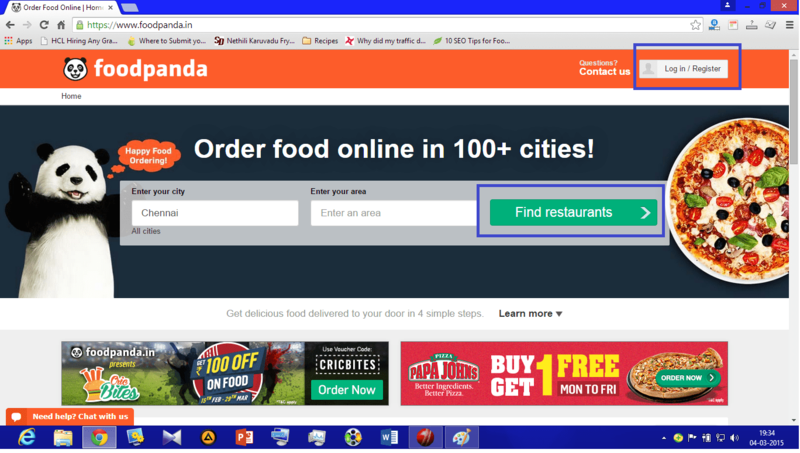 Food Panda is a global online food ordering site, operating in more than 40 countries with a partnership of around 45,000 restaurants globally. It is now actively running in 30 cities of India . The best thing on their service is, they almost cover all the places in a city and you can pick the favorite restaurant nearest to your area. They designed the site user friendly, so you can directly enter the city and the area to find the restaurants. No signup procedures and all 🙂 They have the option to refine the cuisines like North Indian, Chinese,fast food, etc.. and filter restaurants depends on their deals, Price range and preorder availability. Menu card is attached almost for all the restaurants. Its very simple add or delete options available to select your recipes. It’s a clear checkout asking your address,landmark and mobile contact. There is no place of clumsy procedures. 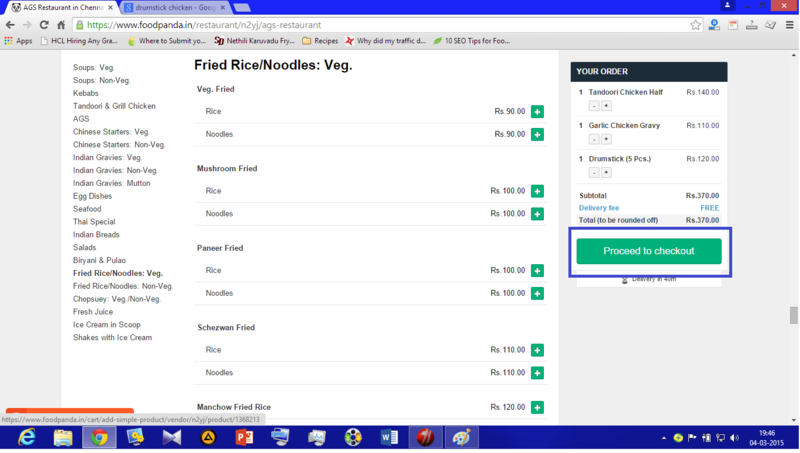 We can select COD(cash on delivery) or online pay option .They do home delivery within 40 to 50 mins maximum. Delivery charges depends on the restaurant you choose. Each restaurant individually mentioned the minimal amount for free home delivery. The procedures are very clear from start, after check out we will get a message confirmation for order, menus and address in our mobile. The same to email as well. 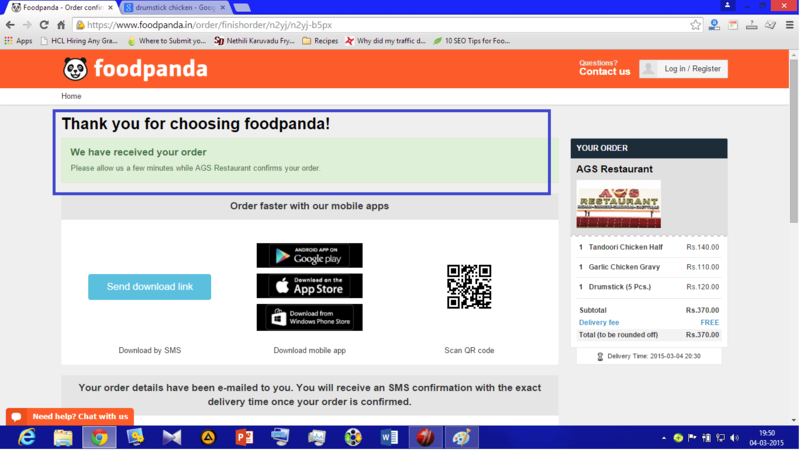 We can get foodpanda in mobile from app store. The only drawback which I thought is, they can cover more top rated restaurants also. 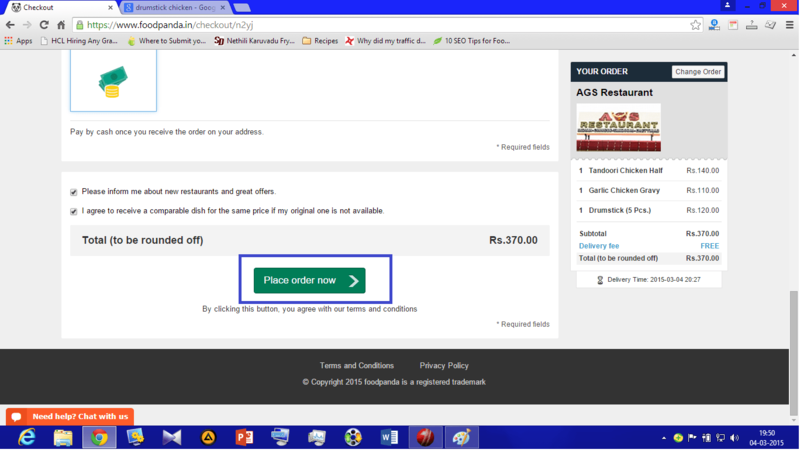 There is sign up option available to register and subscribe our email to get the deal of restaurants and food panda’s offers. There is a chance of getting coupon codes. We may use this while ordering the food for discount. 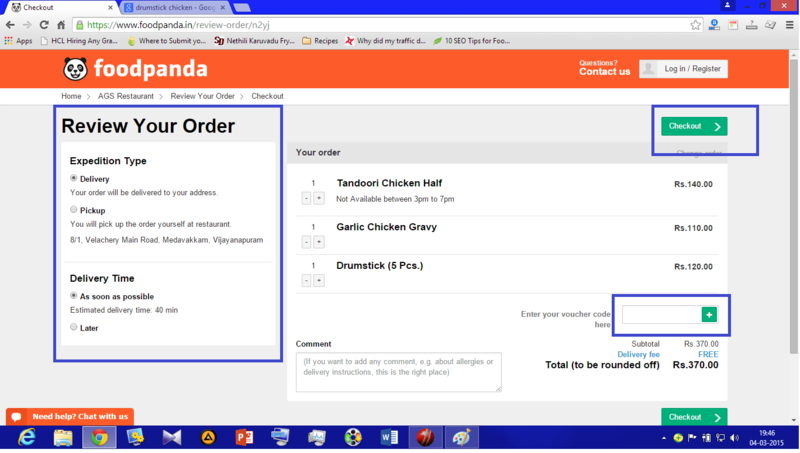 Overall food panda is the best place to place food orders in online from wherever we want, from home or office. Sudden plan with friends in office for group lunch? No need to wait in que on phone for restaurant orders . 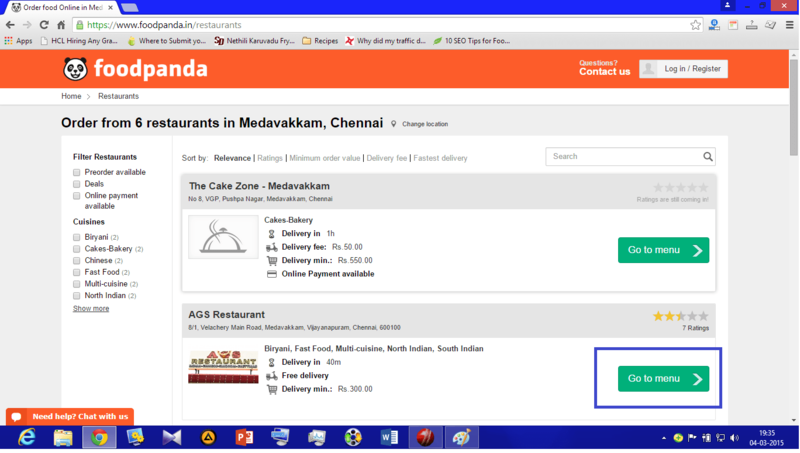 Simple steps to do in food panda through mobile or PC. Simple four steps to enjoy your food. No more waiting …. Just go on and enjoy the food. Log on to https://www.foodpanda.in/ to get services.